When I first heard Brené Brown’s viral original TED talk on the power of vulnerability to combat shame, I knew I was listening to something important. It turns out that I wasn’t the only one who felt that way—Brown’s work has made it into the daily lives of many people, changing our narratives on belonging. For me, her work has been a game-changer. She’s reminded me to be vulnerable with the people I care about and not to hustle for my own worthiness. In her last book, Rising Strong (2017, Penguin Random House), she taught me about the power of admitting out loud “the story I’m making up” to give the people in my life a chance to set the record straight. 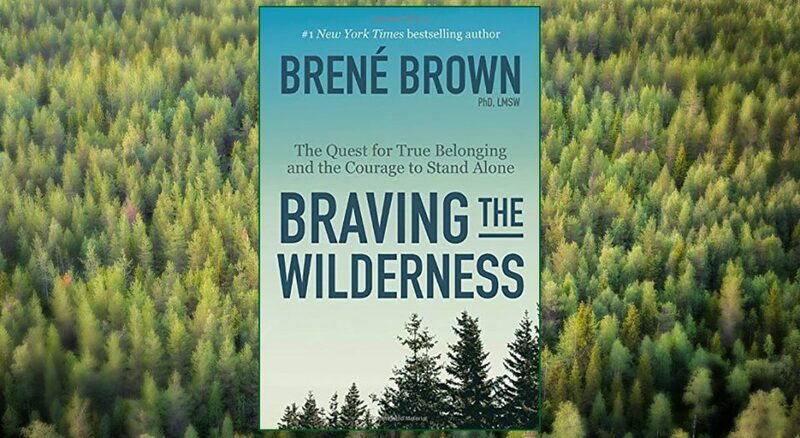 Brown’s latest, Braving the Wilderness: The Quest for True Belonging and the Courage to Stand Alone (2017, Penguin Random House), covers some of the same ground as her previous work. It’s still about belonging, vulnerability, connection and courage—but this one has another layer. It’s a book written for this specific cultural moment, in a time when families are divided over politics and when public discourse is often anything but civil. It can be read as a guide to navigating through the muddy political and social waters of our time wholeheartedly. It’s this connection with others—the reminder that no matter how much we disagree with someone, we share crucial things in common—that’s at the heart of the book. It’s clear that this message is informed by Brown’s faith (she’s part of an Episcopal congregation), and it’s a good reminder for ELCA congregations as well. No matter what our political views, we are all made in the image of God; we all deserve to be shown love and treated with dignity. Throughout Braving, Brown offers strategies for this kind of connective work. In the way she has become known for, she weaves stories from her life and her research subjects into statistics and data, making the numbers and facts come alive. Even so, she doesn’t sugarcoat the difficult reality of having these conversations—just as, in her work on shame, she never pretended that living vulnerably is easy. I was challenged by this book to think about the differences between belonging and fitting in. Am I so in love with the groups that I identify with that I can’t see people with other opinions clearly? It’s not that “we” are right and “they” are wrong—life is almost never that simple. When we focus on fitting in, Brown says, we squeeze ourselves into boxes rather than being who we actually are and trusting that we are worthwhile. As believers, we say that this idea is central to our faith. God’s love for us and for the world is radical and inclusive. We are deeply beloved. Brown’s writing is a timely reminder to be secure in our sacred identities so that we can show love, patience and care to our hurting, fractured world.